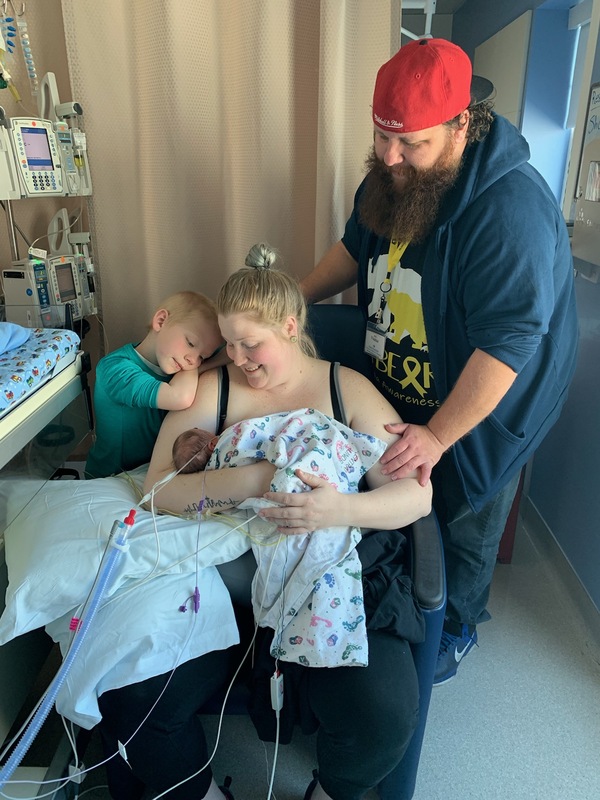 **Nate started his job right before baby J was born and he had to wait a certain period of time before he qualified for insurance at his job, sad to say that he didn't recieve insurance in time to help with baby Js delivery and his days so far spent in primary childrens. Please help if possible and share this story! Thank you! Have you ever held a 4lb. baby boy before? 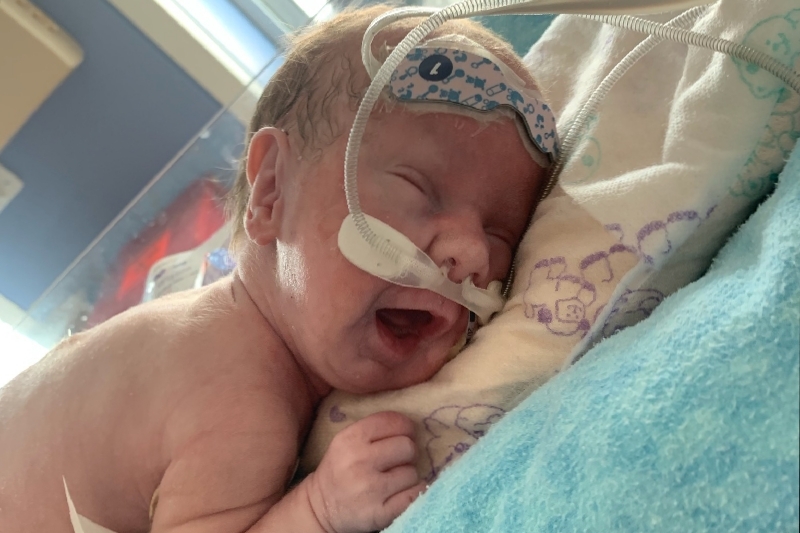 Jameson Val Olson was born 6 weeks premature at Intermountain Medical Center. 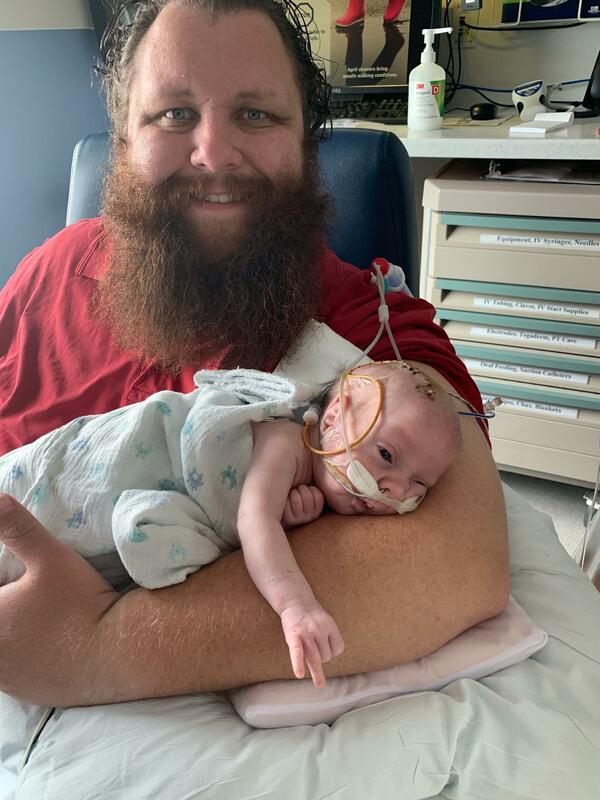 Dad and baby both had to be transported to Primary Childrens Hospital because he was diagnosed with Spina Bifida at 22 weeks, and he needed to be with the Spina Bifida experts. 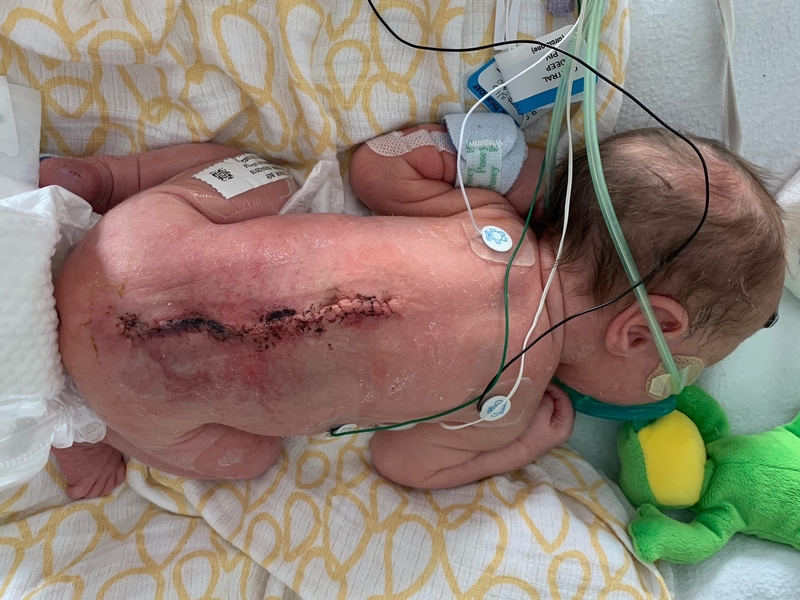 Baby J has undergone spinal surgery for the Spina Bifida and is impressing everyone by how well he is recovering! Before his spinal surgery however, they discovered that he has a heart defect ❤ that will also need surgery to correct. He also needs to have surgery to open up his air way, and another to correct his cleft palate. 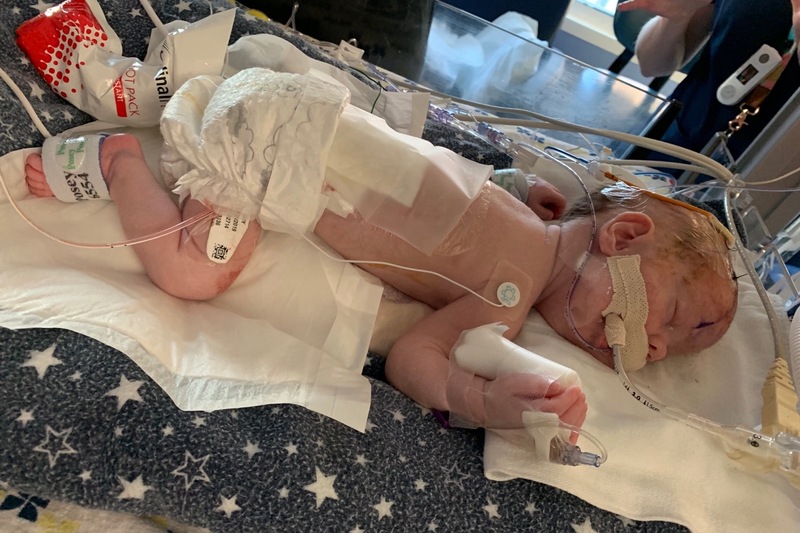 Needless to say, he's got a few surgeries coming way and what we initially thought was going to be a week in the NICU has now turned into a long road along with the medical Bills that come with it. All of this coupled with his mom recovering from emergency c-section, dad has been working 2 full time jobs just so they can pay rent and keep collectors at bay. Sadly, this doesn't afford dad much time to visit with his new born son! And unfortunately with all the bills piling up and more to surely come, that's more time dad will have to be away from mom and baby J. It has been truly amazing to see this little 4 pounder with a scar more than half way up his back fight and fight! And those of us who are fortunate enough to met baby J have seen and felt his warm sweet spirit! But there is nothing that lights him up more than when mom and dad are by his side! And so we ask that you search your hearts for the generosity to show this sweet, little angel that he was born into a world full of kind, giving people who are willing to help those in need no matter how small they are! Any and all donations will go directly to pay for the medical care of the heroic baby J. 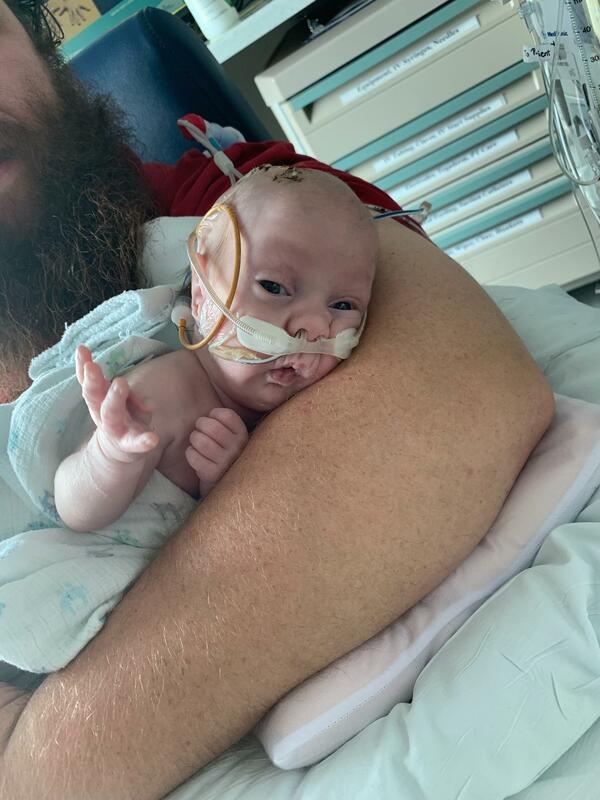 We greatly appreciate your generosity, no matter how big or small, and promise that your willingness to support this sweet, little hero will pay future dividends you wouldn't have received otherwise! So we got an unexpected call this morning that baby Jameson was going to need surgery today. His incision on his back started to open on the bottom and he had gotten it infected. The plastic surgeon was great and was able to clean out his spine and stitch him back up. However because of the frail skin he had to give him relief incisions on his sides to help with the tension on his back. 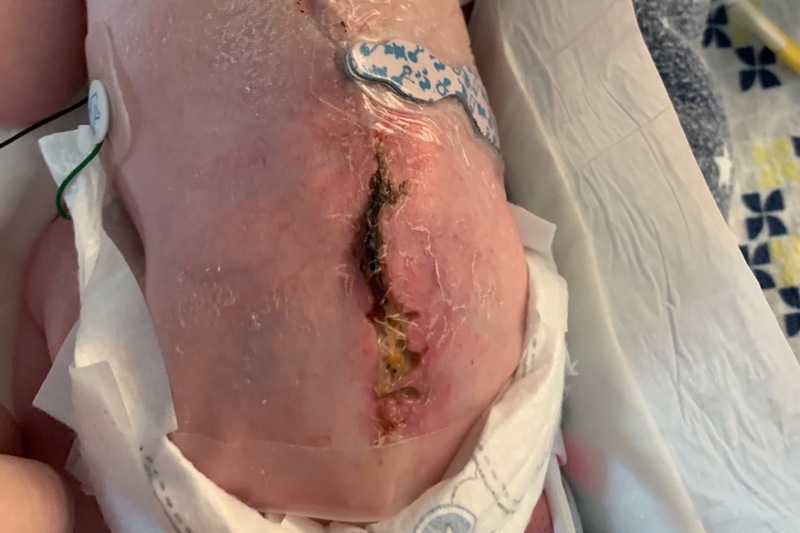 While he was under they decided to put in a temporary drain because his head was starting to build up with spinal fluid. He was a rock star in surgery and we're hoping he can recover quickly from this so they can move on to the heart surgery next. We just wanted to thank each and everyone who has donated and supported his fight so far this little man is one strong, tough s.o.b! 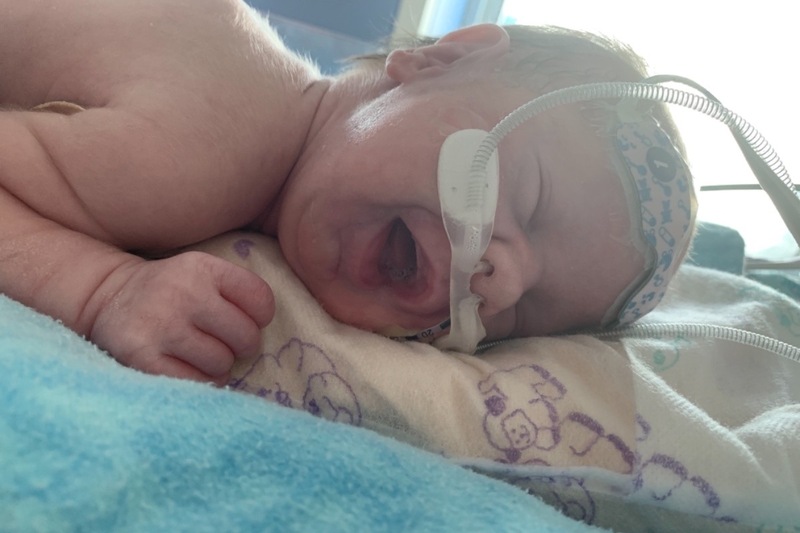 We are speechless from all the generosity that we have received and hope that we can continue to get this little champs story out there to as many people as possible. Thank you all and God bless!